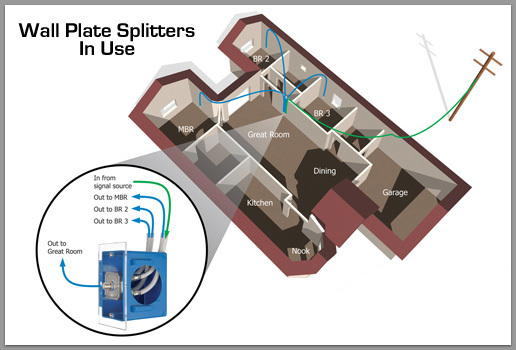 The world's first 2-way splitter designed to be installed into a wall plate. 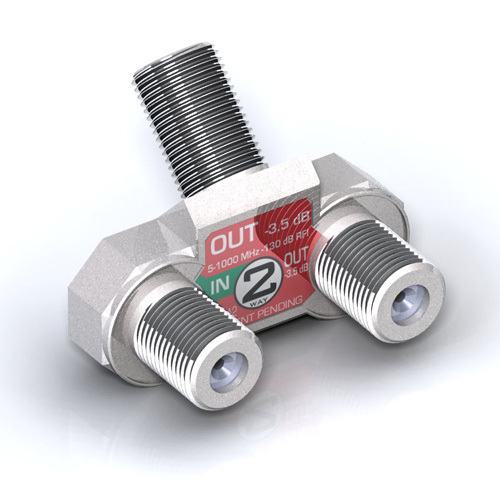 Gale Corporation’s patented high performance wall plate splitter is designed to fit conveniently in a single wall box with one input and two outputs. Note the single output port on the back of the splitter that attaches to a wall plate. 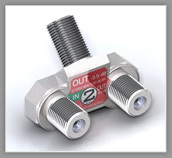 The world's first 3-way splitter designed to be installed into a wall plate. Gale Corporation’s patented high performance wall plate splitter is designed to conveniently fit in a single wall box with one input and three outputs. 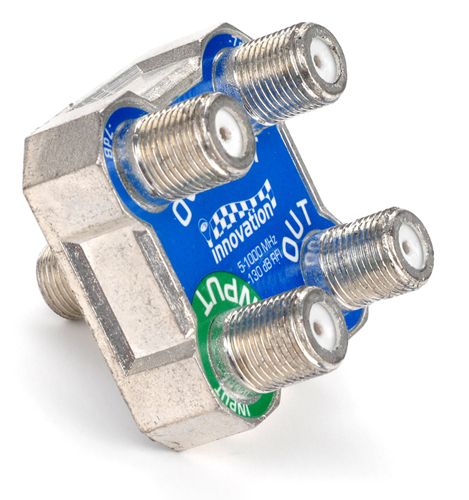 Note the single output port on the back of the splitter that attaches to a wall plate. 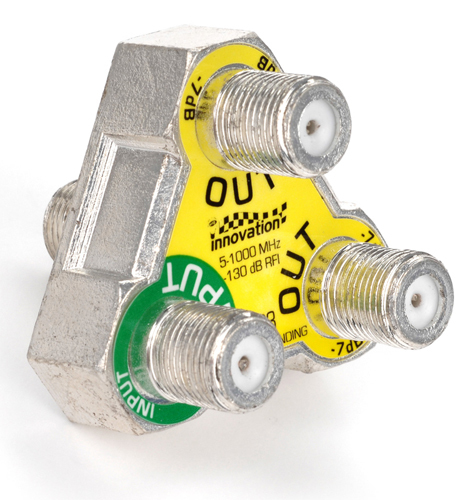 The world's first 4-way splitter designed to be installed into a wall plate.